Wetterer and Clare is a boutique law firm in Louisville Kentucky that has been assisting clients for over two decades. Since the Firm’s formation in 1990 our attorneys have concentrated their practice in the areas of real estate law, immigration matters for professionals and physicians and real estate litigation and mediation. 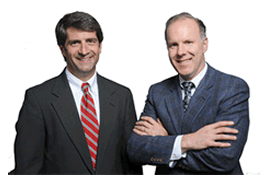 Our firm has since expanded it’s practice area to include business and personal bankruptcy. At Wetterer and Clare, we combine the expertise of highly experienced lawyers and a wonderful legal support staff with the most up to date technology to ensure a timely and effective work product. Our focus is on understanding the business and personal objectives of our clients and helping them to achieve their goals.